Product notes: Available in black or silver. Two independent built-in amplifier circuits: independent output MOSFET CLASS-A and replaceable op amp design. Noise when turned on/off: Thump when turning on and off. Class A circuit has electrical noise for the first minute of operation. 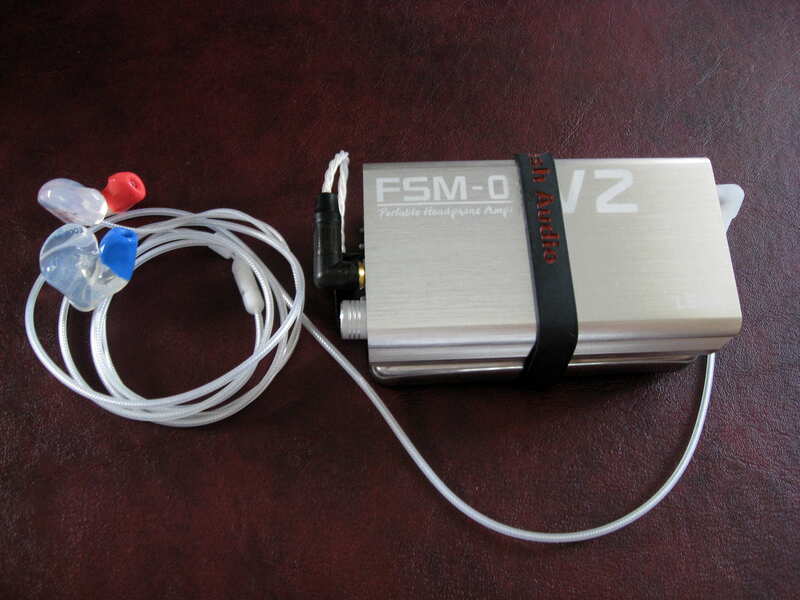 There are two amp circuit options for the FSM-02 v2: the op amp section which comes with the OPA2227 installed and has a 10 hour batter life, and the class A section with 4 hours of battery life. 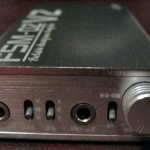 I compared the FSM-02 v2 with several amps including the Portaphile 627, Ortofon MHd-Q7, Leckerton UHA-6S MKII (AD8610ARZ op amp), Meyer Audio Stepdance, HeadAmp Pico Slim, Headstage Arrow 4G, ADL Cruise, Just Audio uHA 120, and Sunrise Dolphin. Many headphones were used in my evaluation, a list that is much to long to list, but includes the Audeze LCD-2, Sennheiser IE800, Spiral Ears 5-way Reference, Custom Art Music One, Dream Earz aud-8X, Fit Ear PS-5, Sennheiser HD600, AKG K550, Etymotic ER4P, and many more. The op amp section performed quite well with a spacious, detailed, natural, and neutral sound. Elaborating on the neutral sound, many other amps sounded slightly colored in comparison, such as the Dolphin and Pico Slim due to a bit more emphasis in the treble region, or the Arrow with added warmth. Note decay is not too smooth and not too analytical, falling between the more analytical UHA-6S and smoother MHd-Q7. Compared with the Stepdance, which I have found performs great in so many regards, didn’t sound as natural, open, or effortless as the Lear. 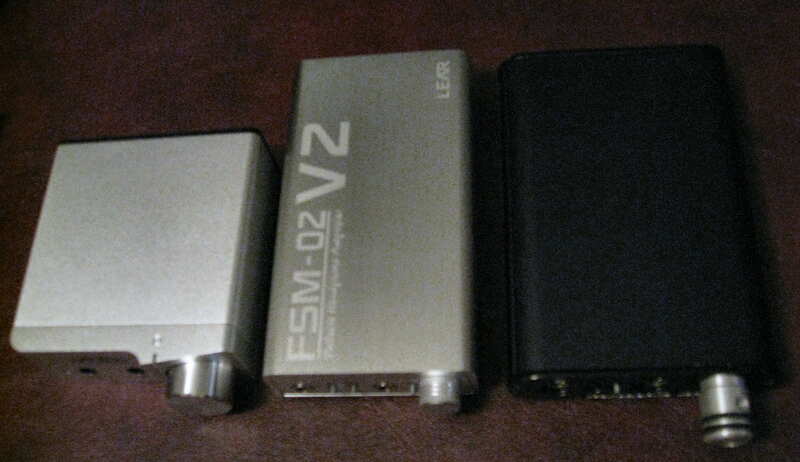 Amps often have synergy with select headphones, but the FSM-02 v2 paired well with everything and had less variation than I am used to. 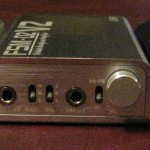 Certain headphones did vary in performance from amp to amp such as the aud-8X, LCD-2, IERM, and to an extent Proguard P2+1. 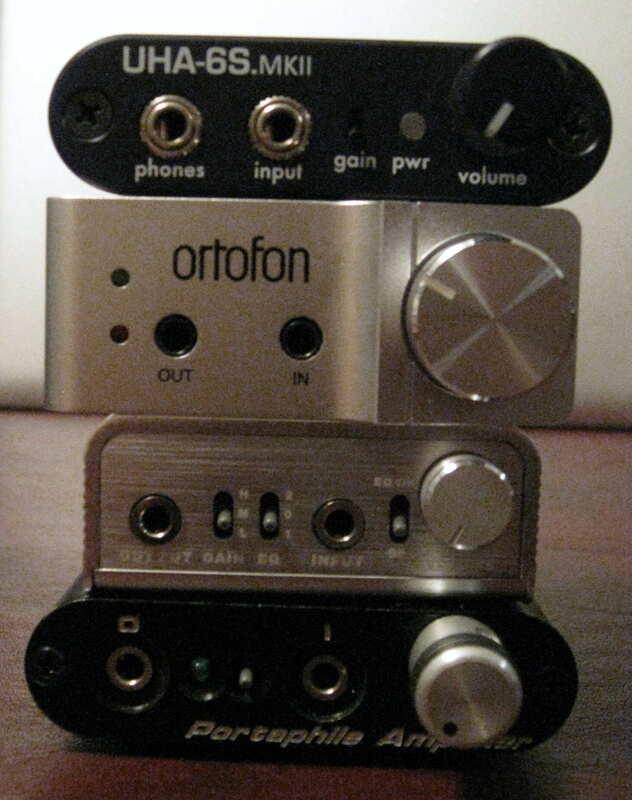 Technically, the op amp section outperforms all but two of the amps I used for comparison: the Ortofon and Portaphile. The built in EQ boost either bass or treble to suite different headphones with two three position switches for selection. The selection is more difficult than it has to be as one switch between the input and volume knob must be either in the “BP” for bit perfect position for no EQ or the upper “EQ ON” position for the EQ to work. Setting the switch to the middle position results in no sound, and I had trouble changing the switch without disconnecting the source cable. If the switch is in the “BP” setting, the EQ 3 position switch still affects the sound, as setting “1” or 2” lower the volume. When the switch is in the “EQ ON” position, the EQ switch must be in either the “1” position for bass boost or the “2” position for treble boost. If the switch is in the “0” position for no EQ, there is no sound. Using the EQ in position “1” warmed up the sound quite a bit, adding a richness to the single BA Music One and multi-BA LCM-5 without adding any distortion but the bass became too much with the IE800 and Lime Ears LE3b. With the switch in the “2” position, some headphones improved while others didn’t. For example, there wasn’t much of a difference between with the IE800 or Lime Ears LE3, although the LE3b did become clearer. 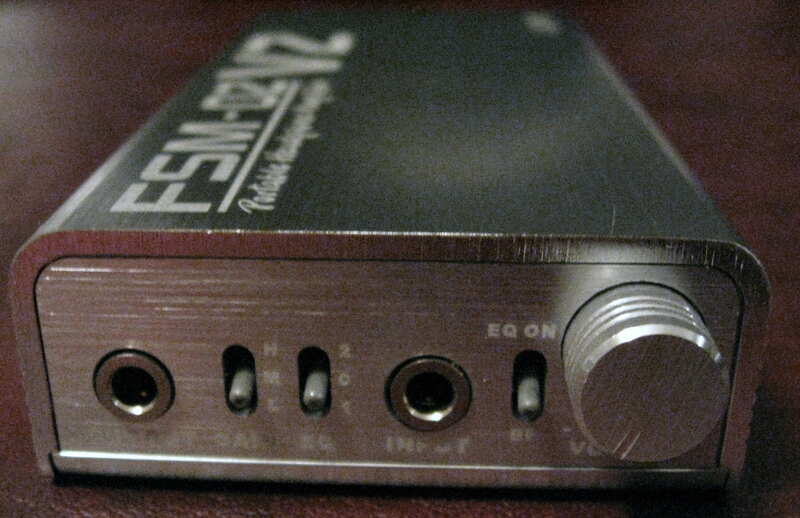 Normally, an amp review would be complete at this point, but the FSM-02 v2 has another amp circuit to test, the Class A portion. This circuit is a real winner, adding dynamics and punch along with a more spacious and refined presentation adding to the already high performing, musical sound of the op amp output. Every headphone I paired with it sounded natural and the overall performance closed in on the Portaphile 627. While it doesn’t quite reach the same technical performance of the 627, it does have a lower noise floor, smaller size, similar battery life, and lower price. With realism that is on par, but with a bit smaller and slightly less dynamic presentation, the FSM-02 v2 is quite impressive. The EQ function works like it does via the op amp circuit, but the bass boost isn’t quite as significant and the clarity boost adds a bit more clarity while retaining a more refined and smoother treble. For example, both the Lime Ears LE3b and Music One became clearer with the clarity boost on. 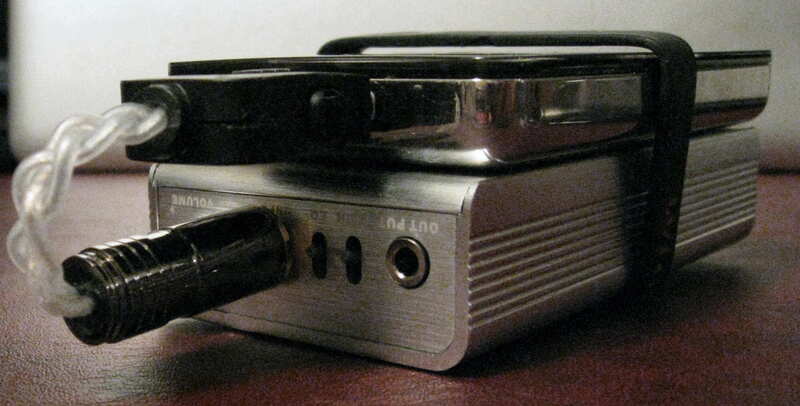 Using the medium gain with the LCD-2 and HD600 headphones did not change the sound quality from either amp circuit, but when using the high gain the presentation space became ever so slightly larger. The amp was loud enough for my listening volume on low gain with all the headphones I tested. 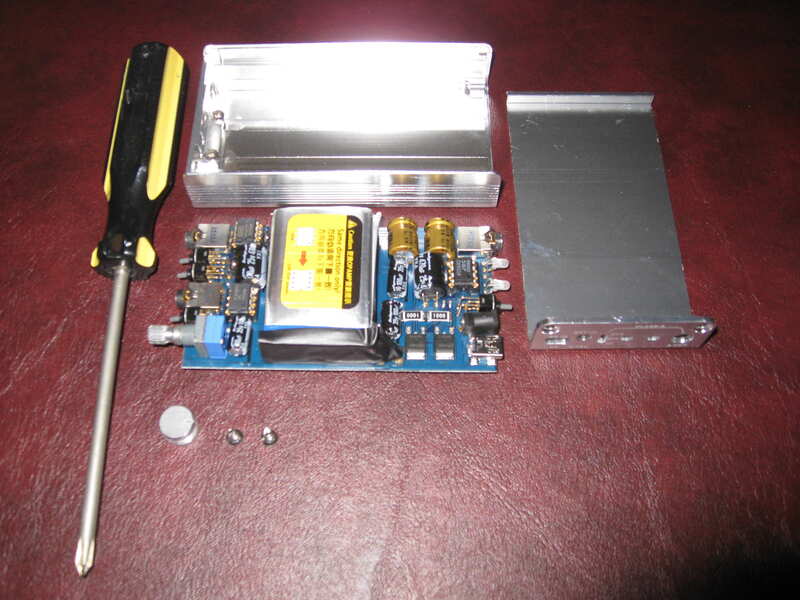 I didn’t try the amp with an external power source, although it can accept up to 18V. 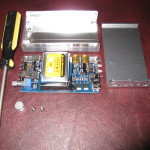 I also didn’t try changing op amps, and Lear is developing new op amp modules. The power LED is bright when in class A mode, which may annoy some people, although the blue LED when the op amp section is on isn’t nearly as bad. The Lear FSM-02 v2 is an exceptional amp that offers quite a few options combined with competitive sound from the op amp section and class leading sound from the class A amp section, with performance that approaches that of the Portaphile 627. Features include a built in EQ with a bass or treble boost, the ability to change op amps, and an input for an external power supply up to 18V. 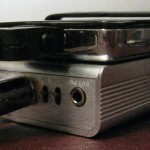 Not the smallest in size, the curves and flat side help the amp pair well with iPods and phones. 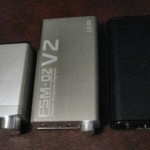 Battery life is OK with the op amp output, registering about 10 hours, but the 4 hour class A battery life is a bit on the short side, although it is simple to just plug the amp in to any USB port for charging. 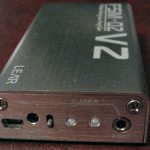 Overall, the Lear FSM-02 v2 is an exceptional amp and an exceptional value when the features and performance are taken into account. Highly recommended! 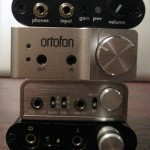 My additional amp reviews can be found here. A full chart with all amp ratings in png format can be found here. hi average_joe! 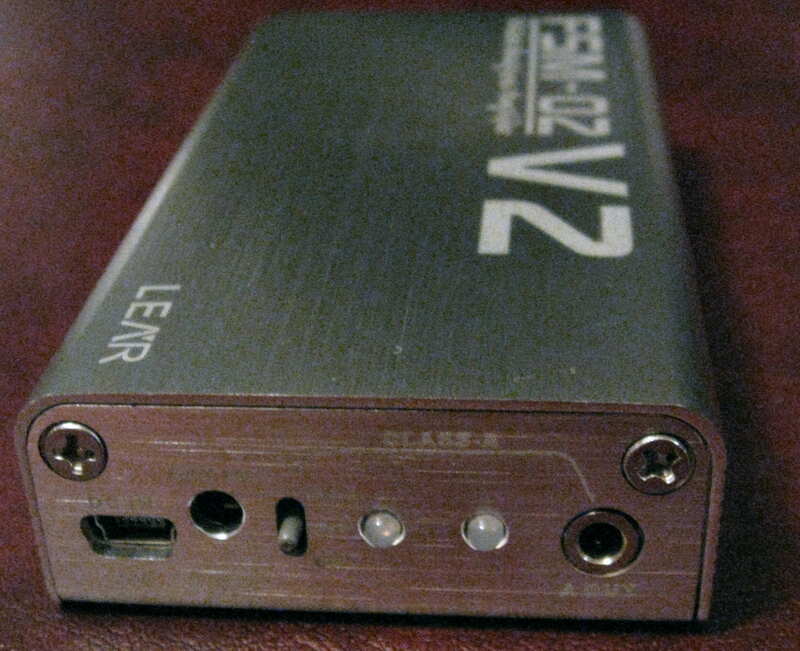 I’m about to buy a used Lear FSM-02 v2 for about $110, do you think that that’s a good deal? Also, do you think that it will pair well with Hifiman HE-400i? I’m offered a Cayin C5 as well at about the same price ($85), I heard that that one has a more superior soundstage when paired with he-400i than Lear. 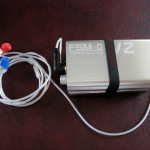 What do you think about Cayin C5?